Cars are getting smarter every year; they can already parallel park themselves for you and some can drive themselves. Some “smart car” ideas are laughable or even scary, but Ford has developed a safety feature that we would love to see deployed as soon as possible. Ford of Europe has been at work developing an obstacle avoidance system that uses a camera, radar, and ultrasonic sensors to detect obstacles in the path ahead. 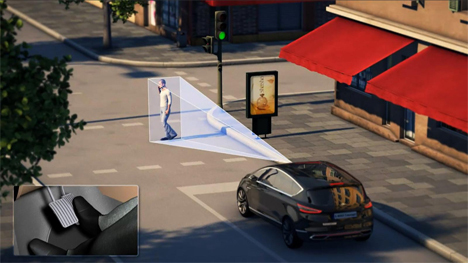 The system can “see” up to 656 feet in front of the car. If the car detects that there is a slow or stalled car in the lane ahead, it can steer itself around the obstacle. If a pedestrian happens to dart in front of you, the car can brake for you to avoid an accident. 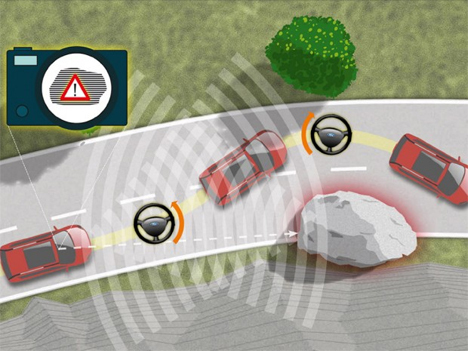 The obstacle avoidance technology isn’t meant to replace your own attention to the road, however; before braking or steering for you, the car will give visual and aural alerts to the oncoming danger. The avoidance system is capable of scanning to its sides before driving around an obstacle to ensure that it isn’t going to hit something else. The setup has been tested at speeds up to 38 MPH and is a promising step forward in vehicle safety technology. Ford acknowledges that you won’t find the obstacle avoidance system on next year’s models. At this point it’s still just a research project that is helping the company to refine their safety features.